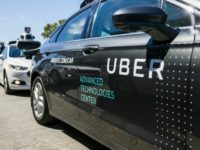 Ride-sharing company Uber reportedly increased the number of self-driving car crash simulations following a fatal accident involving one of their self-driving cars that saw one woman killed. 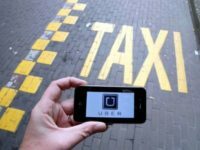 The lawsuit between Waymo and Uber has been dismissed as the tech companies reached a surprise settlement. 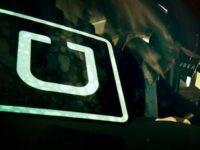 A letter written by the attorney of former Uber security employee Richard Jacobs alleges that Uber took part in unethical competitive surveillance practices and spied on individuals working at competing companies. 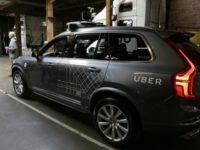 SAN FRANCISCO (AP) — A recent letter from the U.S. Attorney’s office confirms that the Justice Department has opened a criminal investigation connected to allegations that a former Uber executive stole self-driving car technology from a Google spin-off to help the ride-hailing service build robotic vehicles. Uber allegedly “withheld evidence” on “unlawful schemes” by encouraging its employees to use disappearing message apps. 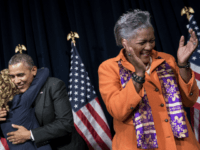 SAN FRANCISCO (AP) — Federal prosecutors are investigating allegations that Uber deployed an espionage team to plunder trade secrets from its rivals. The revelation triggered a delay in a high-profile trial over whether the beleaguered ride-hailing service stole self-driving car technology from a Google spinoff. 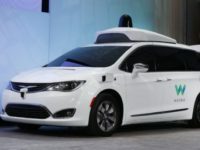 ATWATER, Calif. (Reuters) – Alphabet Inc’s self-driving car unit stopped developing features that required drivers to take control in dangerous situations, its chief executive said Monday, as autopilot reliance left users prone to distractions and ill-prepared to maneuver. 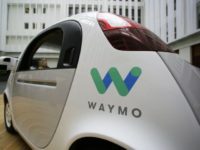 U.S. District Judge William Alsup has delayed the trial for Waymo’s lawsuit against Uber and criticised both companies’ lawyers for “suspicious” actions. 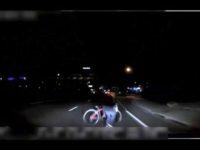 An Uber due diligence report that could prove to be damning in Waymo’s case against the company was made public Monday. Former Google engineer Anthony Levandowski is emerging from the shadow of a self-driving lawsuit to create a robot god. 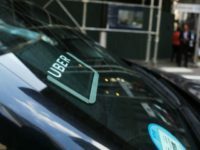 Ride-sharing company Uber has demanded that their advertisements be removed from Breitbart News claiming that they want “nothing to do with” the website. 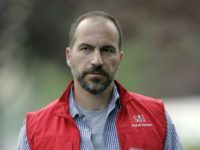 (AFP) — Expedia chief Dara Khosrowshahi has been chosen to replace ousted Travis Kalanick as the next CEO at Uber, The New York Times reported Sunday, as the ride-hailing giant looks to move past a rough patch. Self-driving car company Waymo, which is a spinoff of Google, has patented vehicle tech that reduces its own force during a collision. 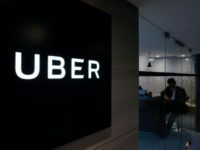 Waymo claims in a recent court filing that former Uber CEO Travis Kalanick was aware that one of Uber’s engineers was in possession of information taken from Google. 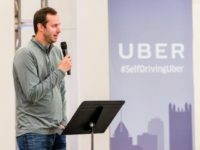 Uber has fired senior engineer Anthony Levandowski, after he refused to return allegedly stolen documents to his previous employer Waymo, which is owned by Google parent Alphabet. 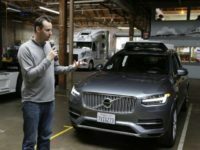 SAN FRANCISCO (AP) — A self-driving car company founded by Google is colliding with ride-haling service Uber in a court battle revolving around allegations of betrayal, high-tech espionage and greed.